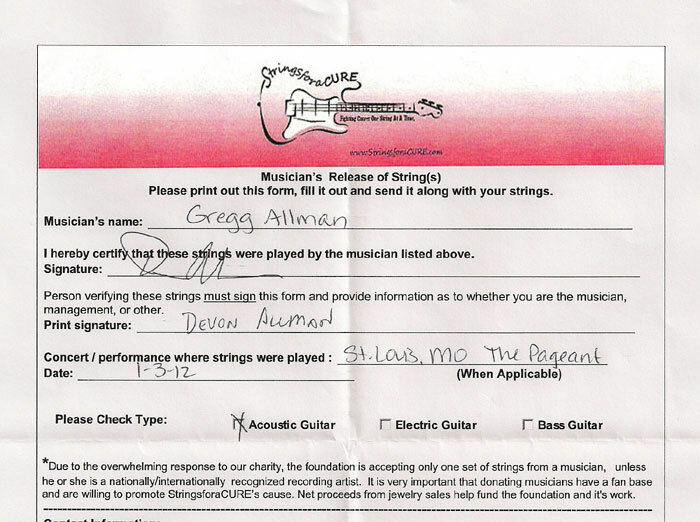 Custom made Gregg Allman guitar string pendant app. 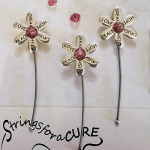 1 1/4″ total length, made by 2x breast cancer survivor Elisa Guida. 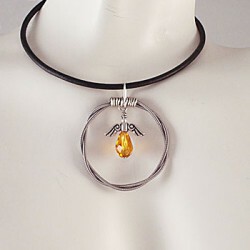 Pendant contains a Tierra Cast Antique Silver-Plated Pewter Angel Wing, a Swarovski pear shaped crystal app. 9mm in length and sterling silver wrapped wire for a bail. 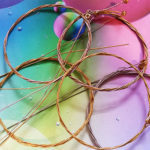 One is available, using one of Gregg’s thinner silver strings. Using one of these crystal choices: Topaz (color in picture), Aurora Borealis (clear), Aquamarine or Jet Black Swarovski crystal. The song “I’m No Angel” was the inspiration for this SFAC piece. Comes with a 16, 18, 20, 22 or 24″ finished leather chord with lobster clasp. 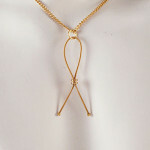 Pendant is hand made to order and takes approximately 6-8 weeks to complete. String used will be thinner than what is shown in picture. Mouse over piece for a detailed view.